Looks really nice so far. He will love the Kessil shimmer. Best shimmer of any lights IMO. Did he glue/cement to rocks in? For me, I never really finish the aquascaping process. Just kind of tweak things constantly. Last edited by jwestwood1; 11-16-2015, 05:46 PM. Last edited by _Alex_; 11-16-2015, 04:51 PM. Yea he's doing good on rock work so far. Not so much on plumbing glue. Lol had a few leaks and need get some more parts to fix but nothing major. Haven't updated this in a while. I'm working on getting my cousin on the forum. As of today the tank is up and running with its first 2 occupants thanks to Justin. And we ended up getting a brand new quantum 160 skimmer and after running for only 2 days this thing is awesome. Quiet! You can't tell the different between on and off. 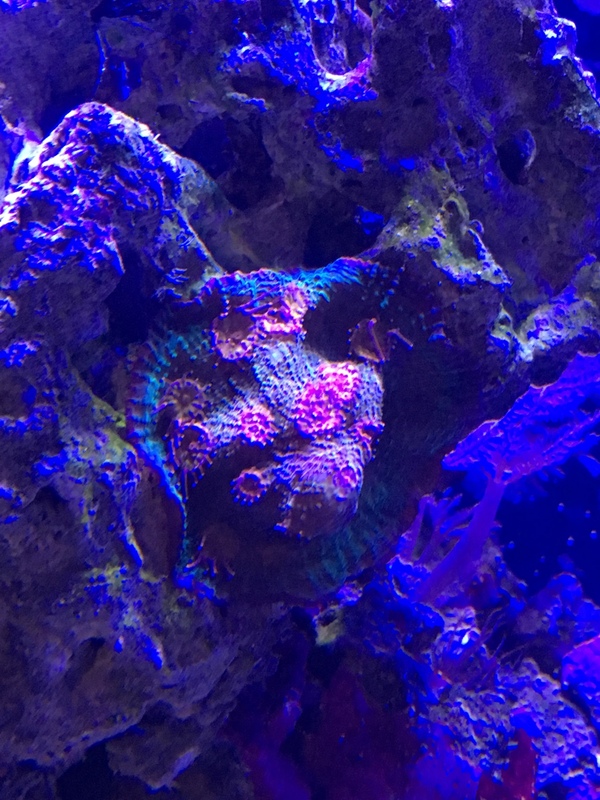 Also thanks to Joe Westwood, picked up up a few started corals so he would get off my back about getting corals already. Lol here's a few pics. Wow been a long time since I updated anything on this. Tanks been doing well he's been doing as he's told. So just wanted post a few pics. Getting him setup with a jebeo auto doser and brs 2 part. As he has a clam and a clam now. So need to start dosing!! !